Picky eating is normal, but when you’re elbow deep in “yucks” and complaints, it’s hard to see the light at the end of the tunnel. If you’ve tried every trick in the book to get your kids to eat their vegetables happily and nothing has worked yet, consider these seven new ways to encourage everyone at your table to be a more adventurous eater (or at least, taster). 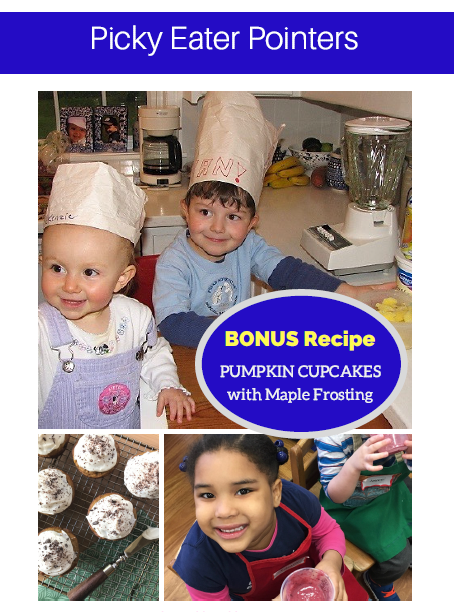 Bonus: Exclusive to this freebie is a recipe for Pumpkin Cupcakes with Maple Frosting!